You’ve seen the thick, wondrous brows everyone seems to be rocking and the full eyebrow trend that’s been happening for a while now doesn’t show any signs of slowing down soon. If you have naturally thick brows, this is great news, but if you don’t, there’s no need to despair or buy more brow filler and makeup in order to achieve gorgeous thickness. Microblading will probably sound familiar if you're dealing with weak or nonexistent brows. This process applies permanent ink that resembles natural hair. At Meraki Hair & Makeup Studio, we have microblading solutions that enhance your beauty without the extra work and give you the incredibly rich eyebrows you’ve been craving. The beauty of our microblading services is the tailored look we design for you. Our artists craft results that are perfect for the shape of your face and the level of fullness you want. No matter if you prefer a more subtle appearance or are ready for some real statement brows, we can match your desires to our microblading and the natural look means your brows will have the amazing shape and thickness without makeup. One of the best things about choosing microblading for your brows is the long-lasting fullness they bring. We use a special technique i that delivers strokes similar to the natural pattern of hair directly onto skin that permanently increases the thickness of your eyebrows for up to two years. That’s two years of easy, no-work brows that doesn’t require products or much attention so you can spend less time with the brow pencil. Whatever reason has you considering microblading, we’ll be sure to get you the brows you want. Whether you tweezed and plucked your brows in fine lines that refuse to grow or even have hair loss from things like Alopecia and chemotherapy, our makeup artists perform professional microblading. 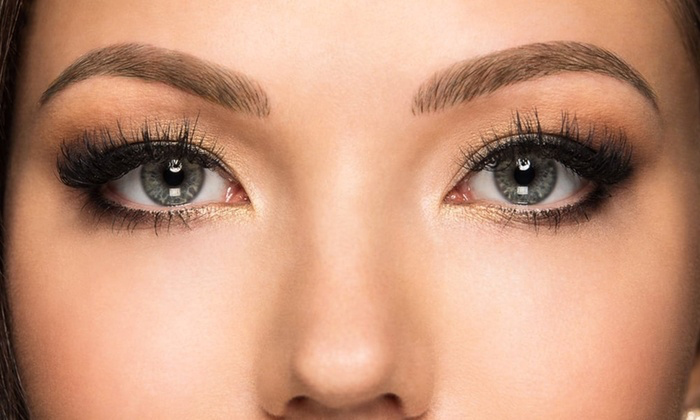 Our eyebrow looks are created to fit your desired appearance so your new brows come out beautiful and natural. Experience the hassle-free look of stunning eyebrows with our microblading from Meraki Hair & Makeup Studio. You can find us at 1281 Arthur Kill Road in Staten Island or call 718.966.6601 to book an appointment. Prefer to instantly schedule an appointment yourself? Try our Meraki Hair & Makeup Studio mobile app, available for a free download on iTunes or Google Play.